Because we have limited parking in our own parking lot (9 spaces), our gracious neighbors have been kind enough to let us park in their parking lots as well. 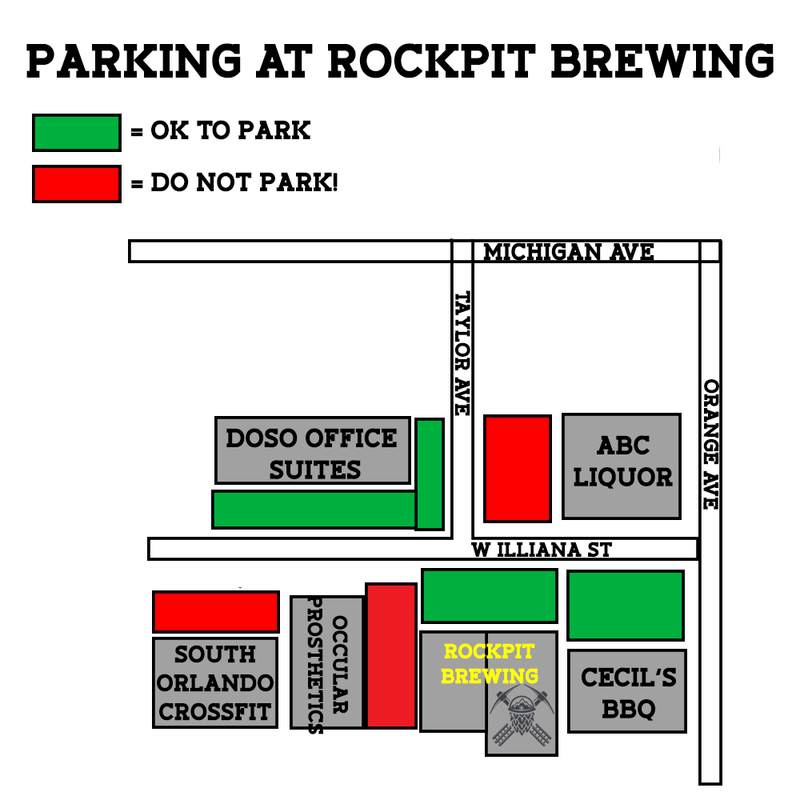 See the “Parking at Rockpit Brewing” image on this page for the ample amount of parking available. 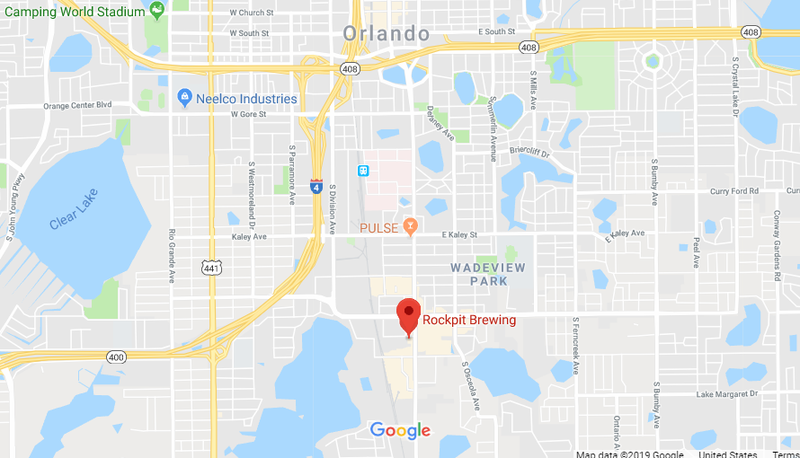 Directions from Cobb Plaza (155 S Orange Ave, Orlando, FL 32801). Head south on S Orange Ave toward W Church St. Go through intersection of Michigan Ave and Orange Ave. Right after ABC liquor, turn right onto W Illiana St. Directions from Walt Disney World. Head East on I-4 towards Orlando. Get off on the Kaley exit. Turn right on Kaley Ave. Go to Orange Ave. Turn right on Orange Ave. Go through the Michigan Ave intersection. Turn right immediately after ABC liquor right onto W Illiana St. Directions from the Orlando Convention Center / Universal Studios Orlando. Head East on I-4 towards Orlando. Get off on the Kaley exit. Turn right on Kaley Ave. Go to Orange Ave. Turn right on Orange Ave. Go through the Michigan Ave intersection. Turn right immediately after ABC liquor right onto W Illiana St.